There's only one you. Each of us in unique in our interests, talents, dreams, and abilities. One of my dreams has always been stay-at-home motherhood. I wanted to be the one to greet my kids when they got off from the bus. I wanted lazy summer days, and I wanted to rock my babies all day long if I wanted to. I get it that these things are not exclusive to stay-at-home moms, but it's what I've always wanted. I feel privileged and grateful that I get to live out my dream. In my adult life I've always been interested in writing, thinking through solutions to poverty, and changing lives. My mind lights up when I search for the exact phrase for my writing, or I attempt to pinpoint what might help someone change. These gifts, talents and interests of mine didn't go away when I stopped punching a time clock or closed my last textbook. But as a stay-at-home mom, I didn't know what to do with these interests, where their place was in my day-to-day activities. 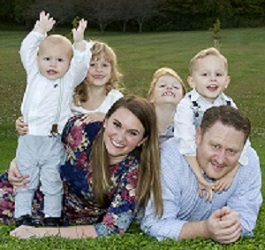 What would my Heavenly Father have me do with these talents, divine gifts from a loving Father, when there seemed to be little time or space for them in my chosen path as a stay-at-home mother? He sent me to school when I was a young stay-at-home mother to three children, and I learned a lot in the process. I now feel at peace with balancing my God-given talents and passions and also living my dream of being a stay-at-home mother. First, I learned the importance of: Don't look around, look up. It can be tempting to add another "something" to your plate because so many women do. So many women do and are doing it fabulously, and it's really fulfilling for them. If you are trying to decipher how God would have you use your talents, or if you feel like there's something more ahead, pray for Heaven's help as you make decisions or changes. Don't look around, look up. Next, I learned that you can't have it all. Motherhood is a chance to be a servant, it's sacrifice. You won't be able to have your cake and eat it too. Your Father in Heaven may need you to serve others in some capacity outside your home, and that will mean less flexibility and freedom on your part. He has a plan for you, and it's what best for you. God is less concerned with your comfort, and more concerned with your growth. Third, I learned that there are seasons in life. Life is long. You just can't predict the future, and where your Heavenly Father might need you. Babies grow up, kids go to school, and life is constantly changing. While you may not know your future, your Father in Heaven does, he knows exactly what you will need. 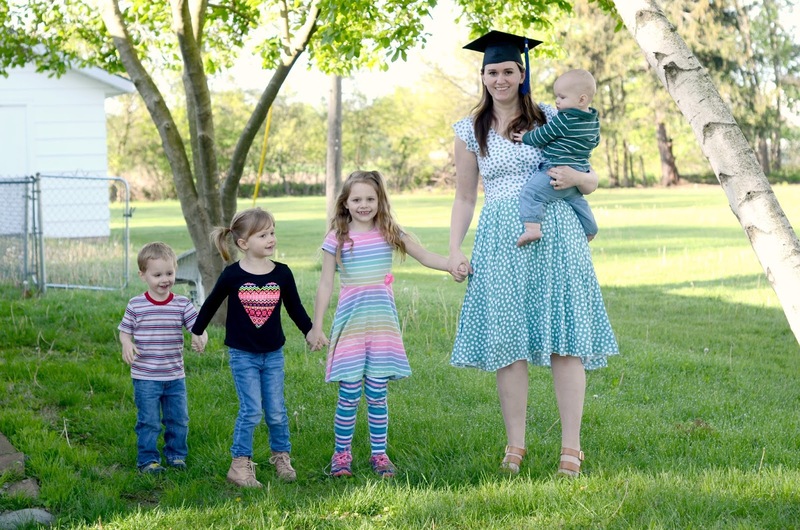 In some ways having my masters degree while being a stay-at-home mom seems silly, since I don't plan to work in the foreseeable future. But God knows what I need, and I've put my trust in Him, not my own wisdom. While there are seasons, I've found there is some permanence in our God-given gifts. Your passions, gifts, talents, and abilities don't go away even if you step back from them. While yes, my nose is not stuck in a book every hour of the day now, those books are still there. The sacrifice of motherhood makes you better, not worse. It's not going to hurt your personal development or your eternal happiness when you put your trust in the seasons God has in store for you. I have also found that within seasons there may be semesters. When I went to school for my masters degree, I had nine months that was straight craziness. Long days of classes and homework with wonderful babysitters who helped with the kids. But then that year ended, and my second year went much more smoothly since I took fewer classes, and all online. Not all the ways you can serve will even take up an entire "season of life." My husband gave me some good advice that not all goals need to be lifelong ones. I once felt called to go to the temple weekly, and now my circumstances do not permit it. Small efforts or short experiences do make a difference, and can be part of your Heavenly Father's plan for you. Fourth, while some seasons may appear to be too busy, I learned that sometimes, it's simply a matter of time management. It took me some time to realize that I really could make time in my own schedule to write. I didn't have to find time to write by avoiding the laundry, neglecting my kids, or guilt-tripping my husband. It simply took me choosing it over other "relaxing" things. 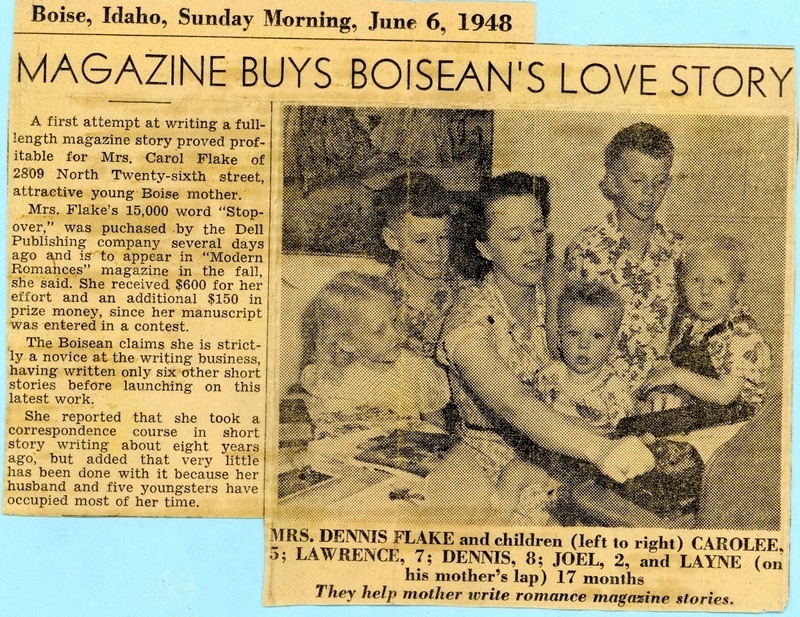 My own grandmother, an inspiration to me, found time to write despite being a stay-at-home mother to ten children. God has a plan for you! He knows you on a very personal level. Following Him does not mean you'll have everything you've ever wanted, that you'll "have it all," but it does mean you'll become more like Him as the days go on. And I think you'll find that's really all you ever wanted anyway. Really profound and true words, and even comforting. You have a way with words and thoughts. I think my mom would be really proud of you, and love you. I'm sorry you never knew her.